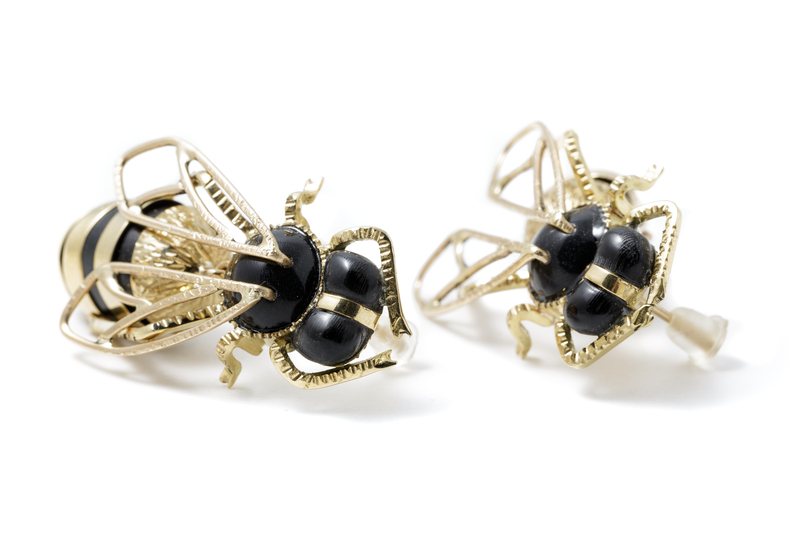 Realised according to sophisticated goldsmith and sculptural techniques, these original and exclusive gold and obsidian earrings represent oneiric bees, with fine wing movement. 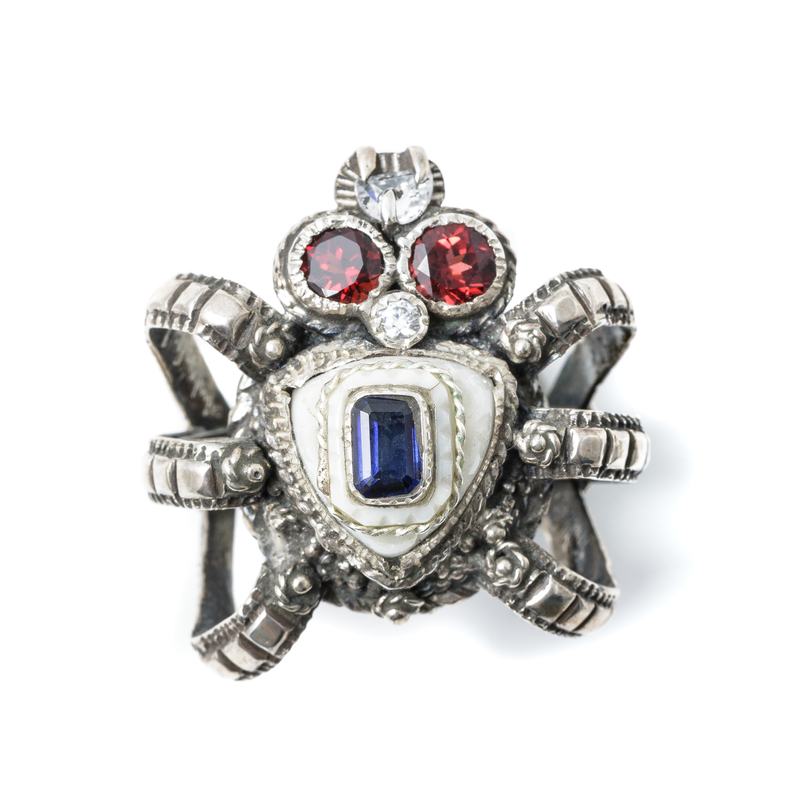 This precious ring depicts the spider, which is the symbol of intricate and patiently woven webs. 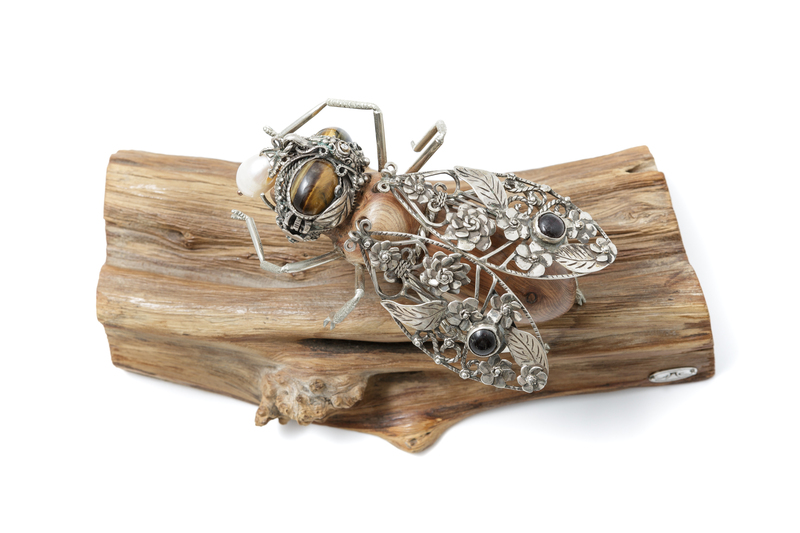 Realised as a one-off piece according to the sophisticated goldsmith and sculptural techniques using silver, shells and precious stones, it is part of the collection dedicated to Insects. The compound cicada can be turned into many different items of jewellery: its refined head is an outstanding ring and its sophisticated wings are original earrings. Both an artist and a goldsmith, Andrea Cadoni crafts precious jewellery characterised by extraordinary creativity and a skilful artisanal technique. His creations are unique, highly communicative and, just like in the most enthralling tales, the manifold sculptured and multifaceted details captivate us even in the simplest of objects. He was born in Cagliari in 1978 and he grew up in the mining village of Montevecchio, a charming locality in western Sardinia, where a strong bond with the typical nature of the island developed, which he later codified and expressed in his artefacts. After his course of studies at the School of Art of Alghero, where he specialised in the sculpture of coral and precious stones, in 2000 he started his activity as sculptor and goldsmith, distinguishing himself for the experimental character of his creations and the aesthetic research carried out by combining unusual materials typical of the island to create jewellery for a clientele sensitive to the charm of the one-off artistic piece. In 2003 he set up his first workshop in the centre of Montevecchio, where he still works: building on the success of this experience, he decided to expand his activity in Cagliari, where in 2012 he established another workshop in the characteristic Villanova district. Andrea successfully participates in the main regional and national trade fairs where he exhibits his sophisticated collections. 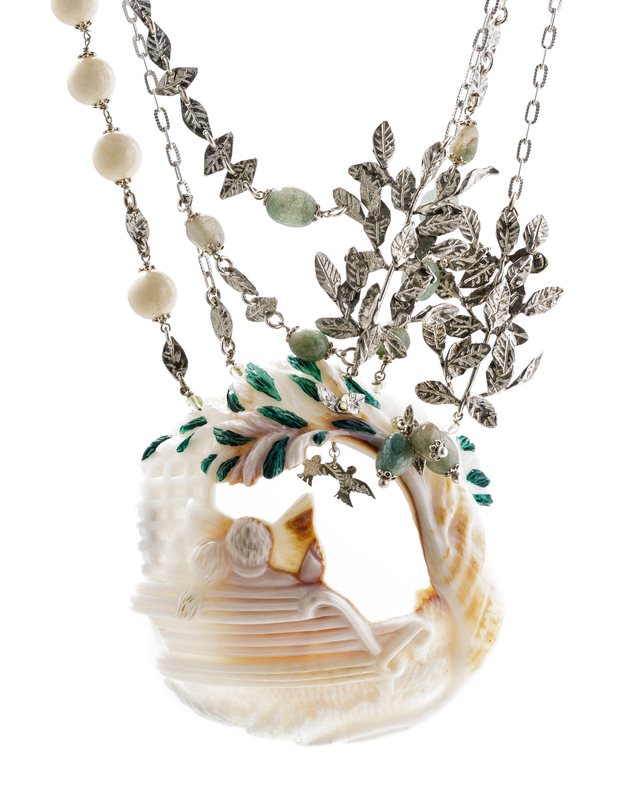 The feature of Andrea Cadoni’s jewellery is the unusual use of seashells which he collects on the Sardinian beaches and manufactures according to his inspiration deriving from the original shapes, sculpting faces and decorations that bear distinctive and recognisable traits. 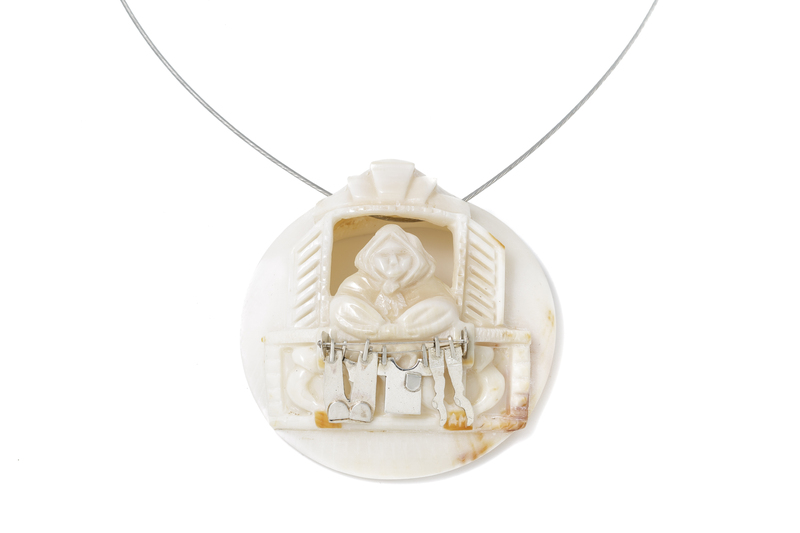 Designed as one-off creations linked to a particular creative bent, his gold and silver necklaces, rings, earrings, bracelets, belts and buckles feature full chiselled shapes with finely carved stones and shells combined with other natural materials of the island, such as juniper wood. The collections Faces, Moments of Daily Life and Insects explore the issues that currently pique Andrea’s imagination, in an ever-evolving creative process. Finally, the collection Special objects has an impressive scenic impact, with its sophisticated sculptures which are both compound and transformable. The shells are sculpted, chiselled and ultimately finished in a natural way. For metalworking, Andrea uses traditional goldsmith techniques including wire drawing, lamination, manual plastic shaping, torch welding, embedding and engraving.